frank shared Music from Our Tube; Elvis Costello & The Roots. This entry was posted in web wandering on 28 October 2013 by frank. Both Elvis Costello and The Roots have a history of collaborating with other artists, but in the video below they join forces for a pretty funky “Walk Us Uptown”. This entry was posted in lang:en, Muziek, ourTube and tagged elvis costello, the roots, walk us uptown on 25 October 2013 by frank. frank liked Jono McCleery – ‘Ballade’ (Djrum Remix). frank shared Music from Our Tube; &ldquo;Melt&rdquo; (Chet Faker & Kilo Kish). 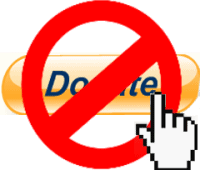 frank shared Do not donate to me!. This entry was posted in web wandering on 21 October 2013 by frank. 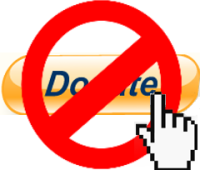 Some people ask me if they can donate for my software. My answer invariably is they can’t, because I don’t want money. Instead I would like them to make a small donation to a good cause! Why? Well, I’m a very lucky guy, living in the richest region of one of the richest countries of the world and having a full-time job that allows me and my family to live a comfortable life. Software is “just a hobby” which I hope is a small contribution to make the web (and by extension the world) a slightly better place. So given that context and given the fact that there are many ways in which the world could be made a better place, I would like to ask you to donate any amount of money you think my little projects are worth to a good cause. Just pick one, click and donate! Donate via GiveDirectly which helps people living in extreme poverty by making unconditional cash transfers to them via mobile phone. Lend via Kiva, or send me a Kiva-voucher and I will lend with that. Kiva allows people to lend money via the Internet to low-income / underserved entrepreneurs and students in 70 countries. Support La Quadrature du Net, which is one of Europe’s leading organizations promoting net neutrality, a positive reform of copyright and the protection of privacy (these guys were instrumental in defeating ACTA). And there are many, many more great causes both locally and internationally that can use our help! This entry was posted in autoptimize, lang:en, wordpress, wp donottrack, wp-youtube-lyte and tagged donate, givedirectly, kiva, la quadrature du net on 21 October 2013 by frank. Chet Faker and Kilo Kish with “Melt”. Too short, really, good thing there’s repeat! This entry was posted in lang:en, Muziek, ourTube and tagged chet faker, kilo kish, melt on 16 October 2013 by frank. frank shared You gotta love HTML5′s input types and patterns. frank shared Stress uitlokken dan toch ethisch volgens JEP. frank liked SWEAR by Rudi Zygadlo. This entry was posted in web wandering on 14 October 2013 by frank.